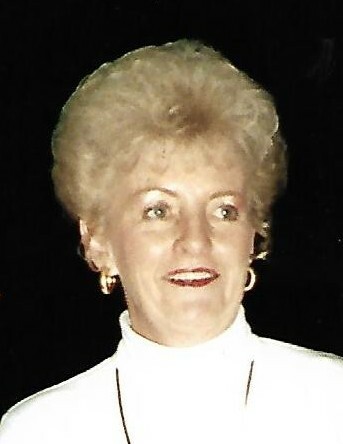 Janet M. Williamson Hovekamp, age 85, passed away Saturday, March 23, 2019. She was the beloved wife of the late George D. Hovekamp Sr.
She is survived by her children, Steven (Gwen) Hovekamp, Mark (Jeanine) Hovekamp and Linda Hovekamp; devoted grandmother of Jason Hovekamp, Jimmy Amann, Jamie Rossi, Jill Leinen and Clinton Hovekamp; and great grandchildren, Emily Hovekamp, Ethan Hovekamp, Eldon Leinen, Raegan, Pyper and Isla. Janet was a member of the Fort Mitchell Country Club and the Northern Kentucky Heritage League. Visitation is Thursday, March 28, 2019 from 11:00 a.m. to 1:00 p.m. at Middendorf-Bullock Funeral Home, Erlanger. Funeral service will follow at 1:00 p.m. at the funeral home. Interment at Highland Cemetery, Fort Mitchell. Memorials are suggested to The Neediest Kids of All, P.O. Box 3426 Cincinnati, Ohio 45201-3426.